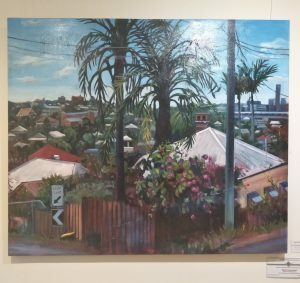 Our Brisbane Landscapes, Landmarks, and Personalities exhibition and competition opened to a packed house at Petrie Terrace Gallery last Saturday 6th April. Now in its second year, the BLLP is a celebration of everything that makes Southeast Queensland great, the places, the people and the views. Over 40 artists from all over the Great Southeast are displaying more than 60 artworks. The exhibition was officially opened by Councillor Vicki Howard and judged by Robert Brownhall. 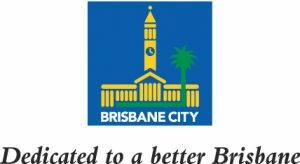 This year’s Brisbane: Landscapes, Landmarks, and Personalities exhibition is proudly sponsored by Brisbane City Council. Make sure you get along to our Paint Out in The Park! Saturday 4th May 10 am -2 pm in Roma Street Parklands our artists will be plein air painting then from 2:30 pm onwards join us in the gallery for the closing event where we will announce the people’s choice award! Scroll down to see who took out the first prize and read the judge’s comments. 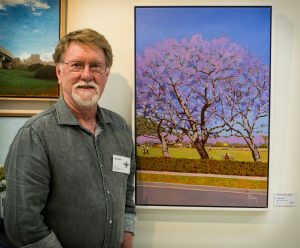 Max Butler with his prize winning painting. 1stPrize: Cat #47 ‘My Country #443’ By Max Butler. 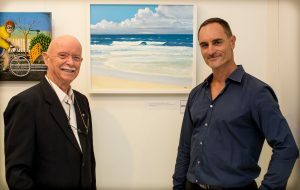 Artist Warren Hampton and Judge Robert Brownhall with Warren’s prize winning artwork. 2ndPrize: Cat #39 ‘Rip Current at Main Beach’ By Warren Hampton. 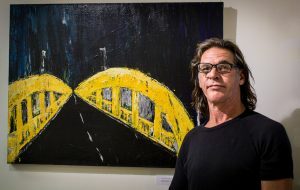 Dominic Proberts with his award winning painting. 3rdPrize: Cat #19 ‘William Jolly Bridge’ by Dominic Proberts. There were also four highly commendeds awarded. Highly commended: Cat #10 ‘The Three graces, View from Milton’ by Robyn Bauer. 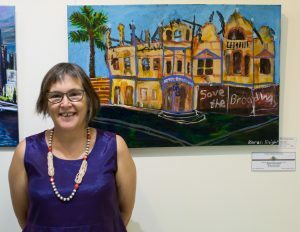 Highly Commended: Cat #31 ‘Save the Broadway’ by Karen Knight. 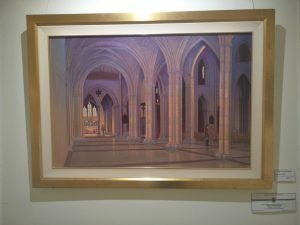 Highly Commended: Cat #59 ‘Lady Chapel – St John’s Cathedral’ By Glen Gillard. 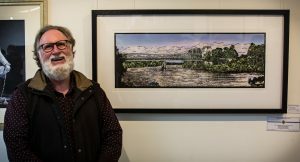 This entry was posted in Exhibition Images, Exhibitions, Latest News, RQAS News on 10 April 2019 by Rochelle.